It was very cold but the sun was setting and there were so many people hanging out at Nanjing Road. Its row of European-style buildings serving as background of bustling commercial activities in the daytime was just awesome. We didn't take too many pictures that day. But here's a short video for you to watch that we managed to shoot. 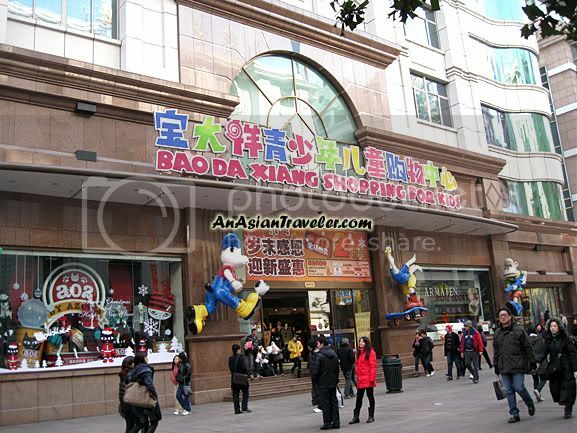 "Bao Da Xiang Shopping for Kids" was one of those shops we often passed by, but never had the opportunity to visit. We didn’t spend much time exploring and just before we decided to go back to Johnson Howard Plaza Hotel, feeling hungry HB and I stopped at Subway Restaurant - the perfect place to grab a huge submarine sandwiches. Right next to Subway is Costa Coffee shop where we finally had cups of hot cappuccino perfect for cold weather. Nice and well developed place. Love to visit the place one day! PS : Thks for dropping by my blog. 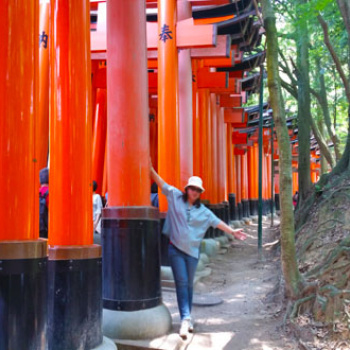 Added your link to my blogroll. Cheers! Well, probably not as warm as the site Blogtrotter 2 has to show you: the Cayman Islands. Enjoy and have a great weekend!! 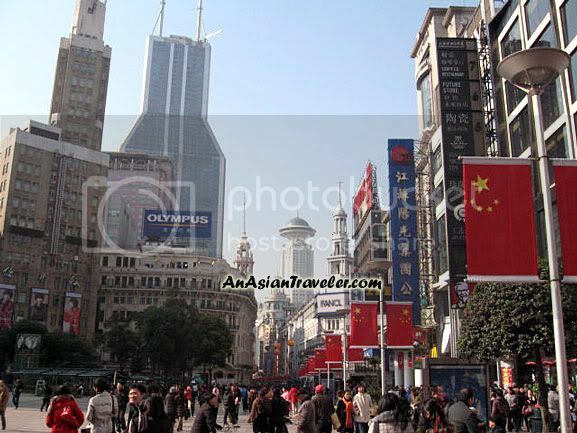 What a nice place....probably most folks go Shanghai and ignore Nanjing.